CANADIAN DEFENCE MATTERS: F-21 FOR CANADA?? Lockheed Martin announced in mid-February 2019 that it had offered to sell India a new fighter the company calls the "F-21." In fact, the ‘F-21’ is an F-16 that Lockheed has upgraded with new cockpit displays, conformal fuel tanks, a larger airframe spine that can accommodate additional electronics, fittings for towed radar decoys, a new infrared sensor and a refueling probe that's compatible with India's Russian-made aerial tankers. The current version of the F-16, officially called the F-16 Block 70, is a modern fighter jet. The original F-16, introduced in the 1970s, was a nimble, eight-ton fighter with unsophisticated radar and short-range weapons. The Block 70, however, weighs 10 tons, boasts advanced avionics, the APG-83 active electronically scanned array radar, above-wing fuel tanks for increased range, and an automatic ground collision avoidance system. The Block 70 also has a structural service life of 12,000 hours, compared to just 8,000 hours for earlier versions of the F-16. The ‘F-21’ has added capabilities. 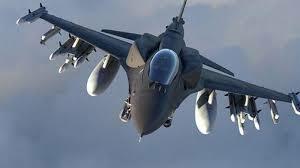 It is reported that Lockheed's promotional video displays the fighter with a noteworthy ten missiles—eight medium range, radar-guided AMRAAM type missiles plus two AIM-9X Sidewinder missiles. The F-21 can be seen carrying a Sniper electro-optical targeting pod, also produced by Lockheed Martin. The Sniper pod provides HD forward-looking infrared (also known as thermal imaging), a dual mode laser, video data link, and digital data recorder. The F-21 also features an aerial refueling probe for refueling using the drogue system currently in use in Canada and features a huge flat panel cockpit display. It should be noted that India doesn't just want a new fighter. It wants to produce the new fighter locally, which would be a substantial boost to the country’s defense industrial base. Lockheed Martin has offered start up an F-21 factory in India. The addition of the ‘F-21’ to Lockheed Martins’ stable of fighter offerings comes as something of a surprise. Where once the company was ‘all in’ on its F-35 it would appear that they have decided that they need to broaden their product range. This may be, in part, because of the recent success of rival Boeing in securing defence contracts. While Lockheed Martin was concentrating on the F-35, sure that its ubiquity would insure that it scooped all defence dollars, Boeing was winning competitions for aerial tankers, jet trainers, drones for the Navy and helicopters for the Army. From twin Air Force One aircraft to Super Hornets and even new F-15’s, Boeing bagged a significant number of contracts. In the month of September alone, Boeing was awarded more than 20 contracts with a cumulative value of $13.7 billion. The lack of an alternative to the F-35 has become a problem for Lockheed Martin. The perceived acquisition costs, not to mention cost per hour of flight, of the F-35 have become a real issue for some prospective customers. Add to this national security concerns about just who should have access to F-35 technology which is amplified in some quarters by the possibility of simultaneous possession of Russian 400 series anti-aircraft missiles, which India operates, further limits the numbers of likely consumers. The introduction of the ‘F-21’ as an alternative would avoid many of these problems while at the same time wringing yet more profit out of what was a dwindling F-16 production line. Some might even argue that this aircraft could compete with the Swedish Gripen in terms of cost effectiveness but with lower risk. While Lockheed Martin has retreated from its claim that purchase of the ‘F-21’ would ease transition to F-35 ownership it is still true that an ‘F-21’ variant could be designed with maximum commonalty with the more expensive stealth machine. What significance does this have for Canada? At one time Canadian Defence Matters advocated a mixed buy of fighters to meet our requirements. 60 to 65 Super-Hornets for domestic use backed up by 20 to 24 F-35’s to form an ‘expeditionary squadron’ seemed a cost effective mix. This option appeared to disappear when Boeing brought its self-destructive suit against Bombardier over the C series jetliner. The introduction of the ‘F-21’ provides a new opportunity to implement a variation of this mixed aircraft strategy with the added benefit, if Lockheed Martin promises are to be believed, of more options for a greater degree of manufacture in Canada. A mixed fleet of complementary F-21’s and F-35’s from the same manufacturer would bring a level of commonality which might help to allay the fears some have of maintaining two fighter types. It is also possible that this situation could be handled with the same equanimity with which the RCAF maintains multiple types of helicopters or transport aircraft. The two versus one engine debate might be resolved by statistics showing that the F-16 actually has a lower loss rate then the F-18. It can only be hoped that any other objections to this option would be informed by the how much money would be saved over the service life of the aircraft in comparison with almost any other viable choice. Canada does not need a fleet of the highest tech, most expensive, most desirable fighters. It needs efficient combat aircraft which can be procured at reasonable cost in reasonable numbers. The F-21 could well be part of a mix which achieved those goals.